Hello guys, are you interested for event blogging ? and want to know about event blogging and also want to make money by event blogging ? so now are you ready for event blogging if yes let's begin . So what is event blogging ? Event blogging is that type of blog which target some event to write articles and this type of blogs are focusing on upcoming events, festival or we can say special day like Birthday, Wedding anniversary etc. 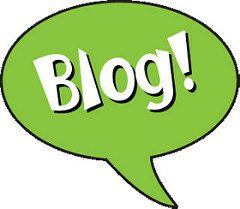 Event blogging is short term blog which is specially made for huge traffic in short time. That means events are short term so you have to work on it only for 30 or 40 days. There are lots of event in the world and that are searched over the internet through search engine. You can just select some most popular event and start blogging. I have listed some of the popular event list below. Holidays: Valentine's day, Father's day, Mother's day, Dashain, Tihar etc. you can write quotes for this events to make huge amount of traffic to your blog. Sports: Fifa World Cup, IPL, NPL, wrestle mania, Football leagues, Olympic etc. How to choose blogging platform ? There are some popular blogging platform such as WordPress, Blogger, Joomla. You can choose any of them. If you are new in blogging i wold like you suggest you must use Blogger. Starting blogging with blogger is lot easier and user friendly. You can just choose domain name and install simple template on blogger and you are ready for blogging. WordPress is also easy to use you have to just install theme here also but if you have knowledge you can start with WordPress because WordPress required hosting and domain so you have to spend some money for it and managing Plug-In in WordPress is not an easy. I will provide some easy steps to start event blogging. You can follow these steps for better result. Create your Blog: After selecting you can just create blog from Blogger, Joomla or WordPress. Selection of keyword: Keywords are most important part for search engine queries. If you don't have maintained keywords perfectly that effect for SEO. If you don't know About SEO simply click here for more advanced details about SEO click here. Content : Just creating blog is not enough. You have to write articles, quotes reacting to your blog event. You must write your own unique content's for SEO and copied content will affect your AdSense account you we can say monetization. Optimization: Optimizing your blog and contents help you to rank your blog in search engine. If you have any queries regarding event blogging you can frequently ask. Please fell free to post your comment in the comment section.